All set to post the new collection of the best free WordPress themes July 2016, I can’t help explain to you why I fell in love with WordPress. WordPress has always been the first choice of millions of people and regarded as the best CMS platform. It is the largest self-hosted blogging tool that comprises everything that is needed for creating any sort of website. It’s really awesome working with WordPress – it lets you create a powerful professional website within a few minutes with all control under your fingers. 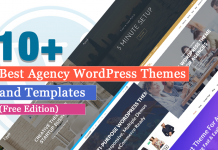 WordPress Themes and Plugins are frequently and regularly upgraded with all the latest trending features and it’s free, what else can be better than this? We can proudly claim that there is no any other free open-source platform that gives you more than WordPress does. 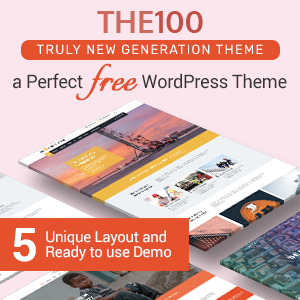 Yeah, actually there are hundreds of free WordPress resources (themes, plugins etc.) releasing every month – the multitude of choices for every purpose. Since there are so many, you may find it hard to pick one appropriate theme for yourself. 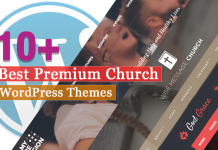 So, this list is prepared to help you in selecting a quality and popular theme for your website – WPAll Club attributes the best of best WP Themes. We have included the themes released in June and July 2016 in this collection for July. Every month we publish theme roundup, containing the most popular themes released in the current month and the month before this. All these themes are collected on the basis of popularity, latest features, and alluring designs. 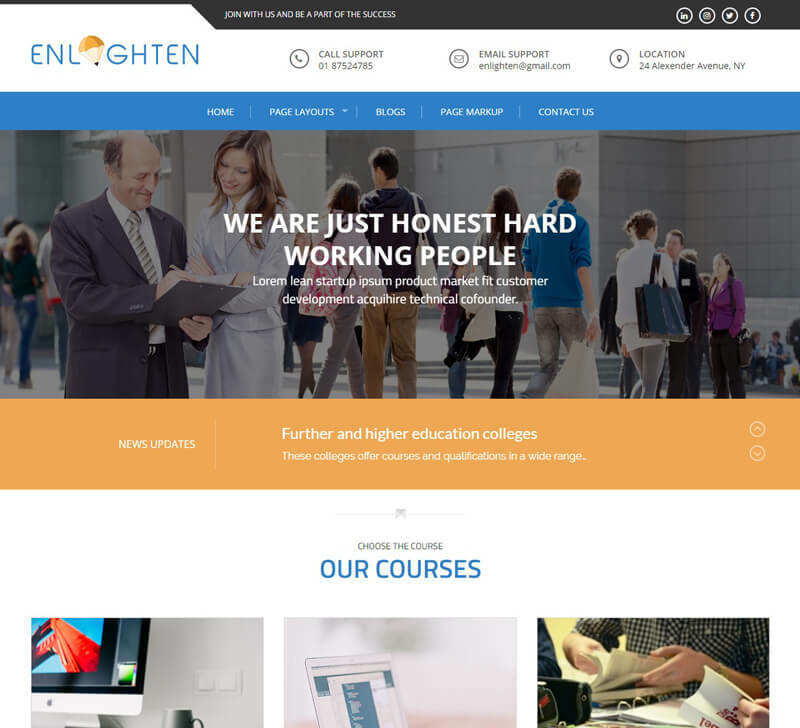 Enlighten is a quality free education WordPress theme designed beautifully for creating a school, college, university and other academic websites. 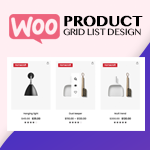 It is fully based on cool live Customizer tool which allows you to configure your whole website as per your requirement and instantly with live previews of every change you make. It is a clean, minimalistic theme loaded with all essential features to let you create a complete and perfect website for your educational institution. SKT Magazine is a superfine free news- magazine WordPress theme ideal for online newspaper, publishing reviews, and editorial style websites. 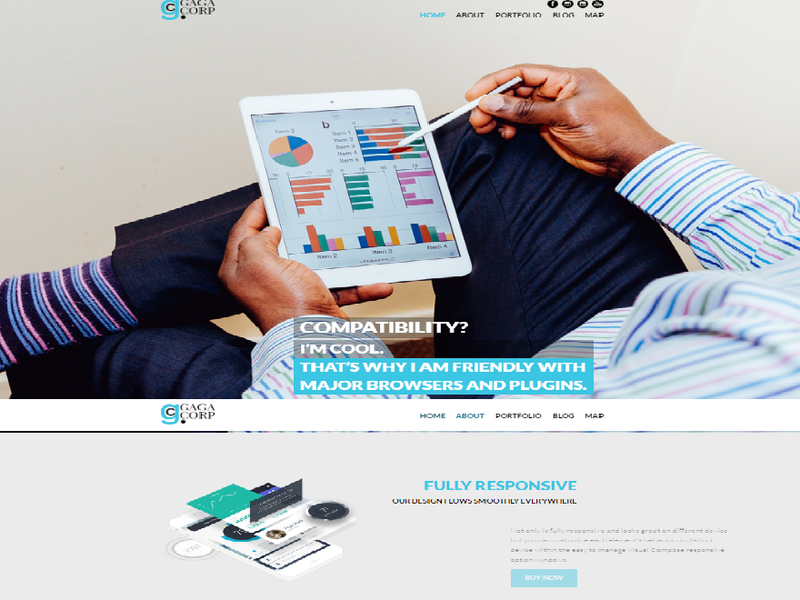 It is also a responsive Google mobile friendly theme which is compatible with the latest version of WordPress. Beside this, it has passed Theme Authenticity Checker plugin and is complete theme search with proper 404, other category and archive page setup. Gaga Corp is the child theme of feature-rich modern theme Gaga Lite which is one of the most elegant themes with modern one-page parallax design. Gaga Corp comes with a new trendy look, additional features, and more choices on users’ part so that you can create a complete website FREE. You can download both the Gaga Lite and Gaga Corp free from the official WP theme directory. It offers elegant design layouts for featured section, FAQ and progress bar, Twitter feed slide section, pricing table etc. It is optimized for all types of screens, browsers, SEO and speed. You will surely love the new layout – that looks more amazing. Beautifully designed pricing table, newsletter section etc. 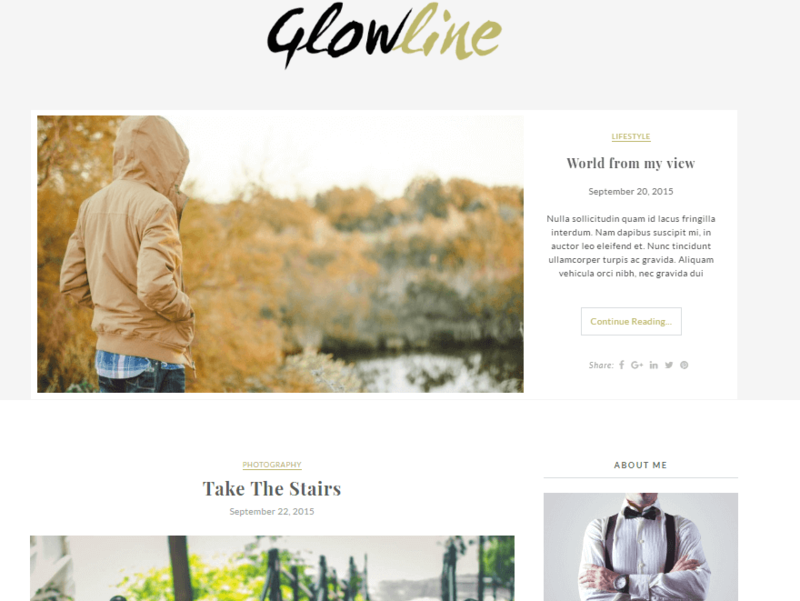 GlowLine is a beautiful free WordPress theme ideal for blogging sites.The theme is fully based on live Customizer- so its easy to configure each and every component and see changes instantly in live mode.It follows the best SEO practices and is well suited in all major browsers. With this theme, you can create a multisite network without any hassle- means you can use multiple themes within single WordPress. Clean Magazine is a responsive free WordPress theme crafted for online magazine and blog websites. It is a beautifully designed theme based on HTML5 & CSS3 – which is simple and easy to use. Its every element are flexible that looks good on any platform and any devices. The theme comes up with many styling and modifying options to meet the right choice for your website. It also has header highlight content and featured content which let you post important pages on your website. 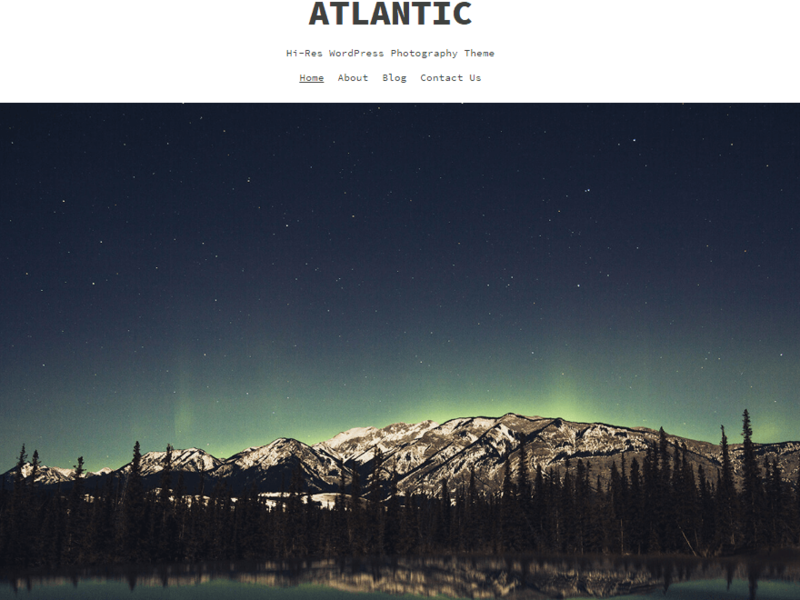 Atlantic is an elegant free photography blog WordPress theme designed for large photographs and videos. The theme is the best and simplest solution to let your photography profession shine. It comes up with the mobile responsive layout and responsive images and videos which allow you to work through any device and any platform. It keeps you updated regularly and helps you to increase your ROI. You can change its elements completely and personalize it as per your requirement. 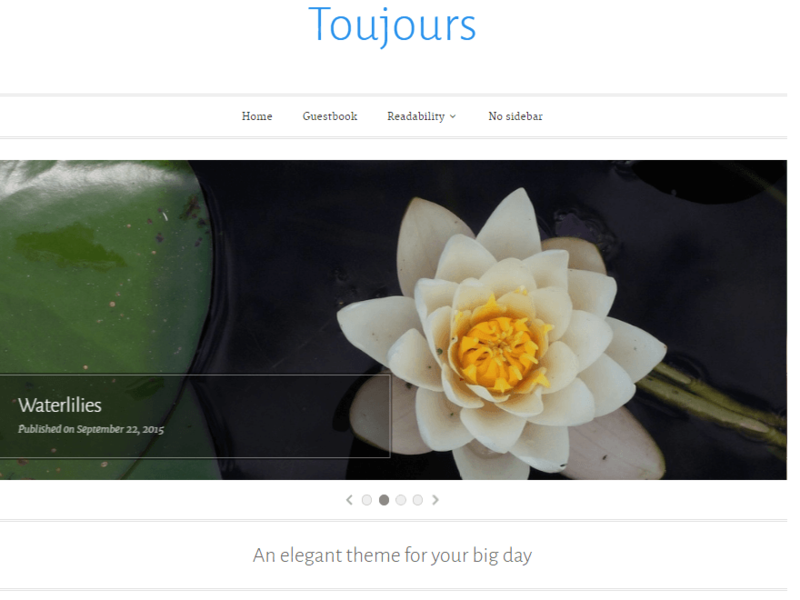 Toujours is an awesome free WordPress theme perfect for wedding websites – planning and sharing your beautiful moments from your wedding. The theme supports different post formats, with the unique style and displays the latest posts on the homepage – which makes your website catchy and help to draw more visitors. Guestbook Page Template is an amazing feature of this theme which highlights your well-wisher’s comment on your posts. 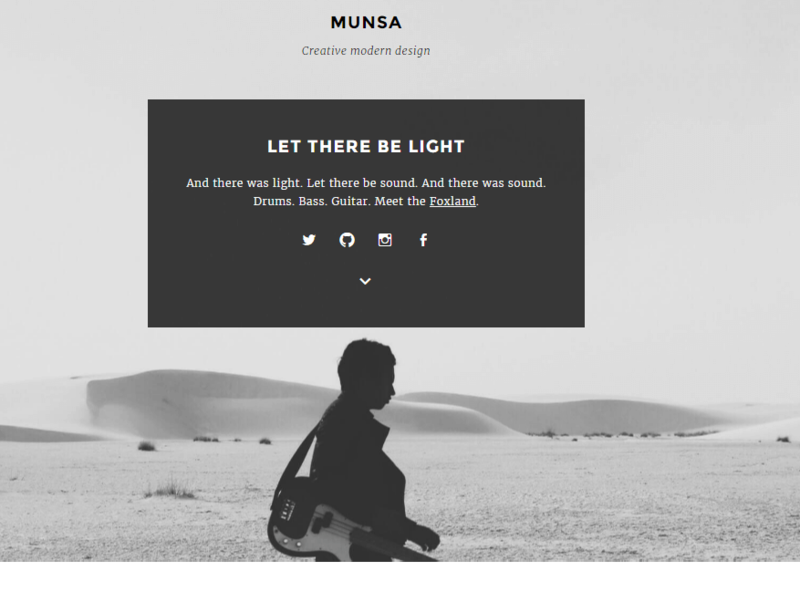 Munsa is a minimal free WordPress theme suitable for photobloggers and artists. The theme comprises all basic essential features which are simple and easy to use. It has got the clean, fresh, black and white design that adapts perfectly to any size of screen and functions well. 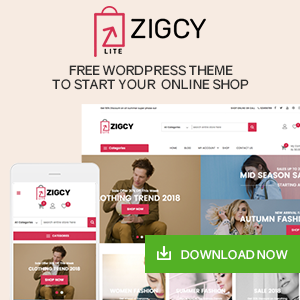 It offers you different stylish theme options and post formats to give a unique and professional look to your website. 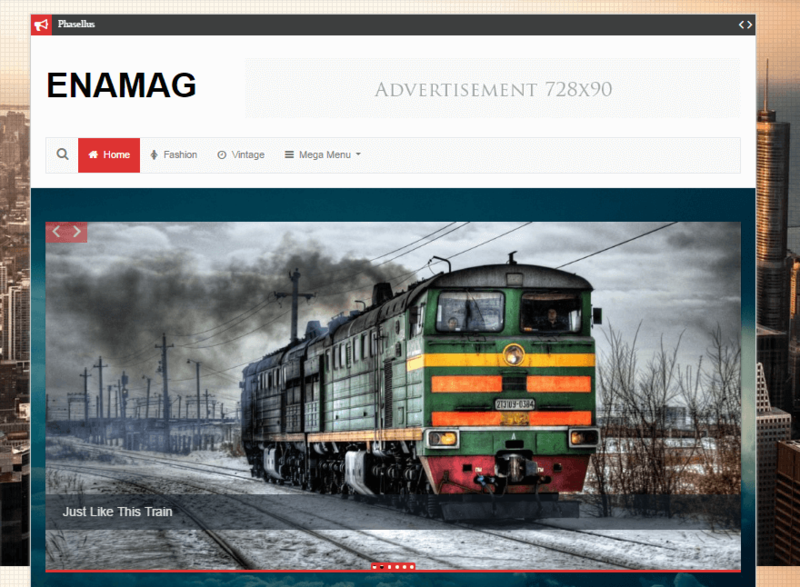 Enamag is a clean free WordPress theme that looks good for blogs, online newspapers and magazines websites. It is minimal and simple yet powerful theme loaded with piles of amazing features. 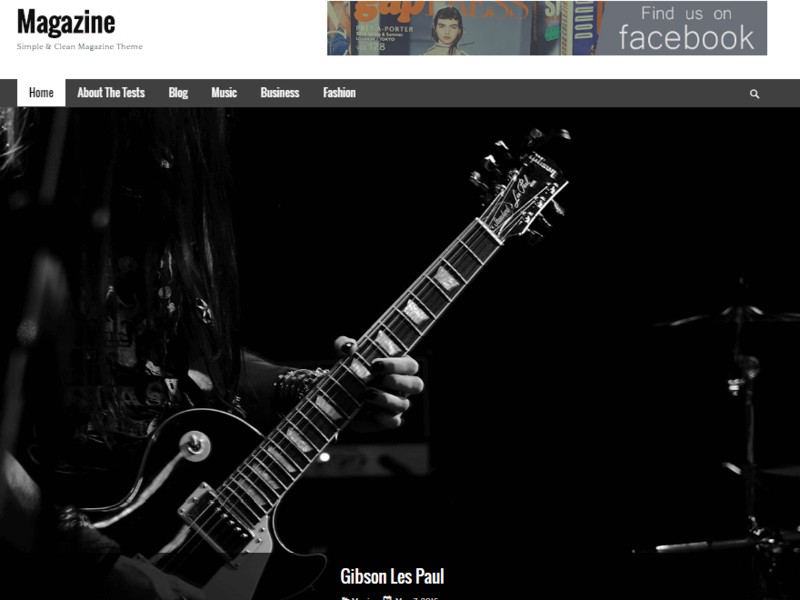 It has got a magazine or classic blog style with unlimited layout options. The theme is based on Bootstrap 3+ and FontAwesome icons and functions well with all major browsers. It is easy and reliable to work out with this theme. 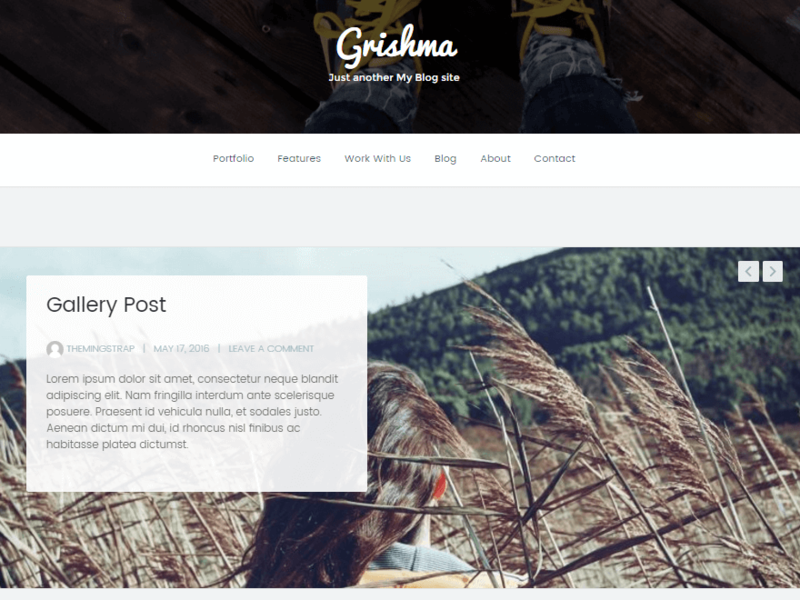 Grishma is a creative free WordPress theme for bloggers. It is packed with powerful features with the ability to customize using the customization menu. The theme uses the latest and most stable coding practice –so it is safe and secure to work with this theme. It has got simple theme options based on a WordPress framework that runs fluently on every device available. 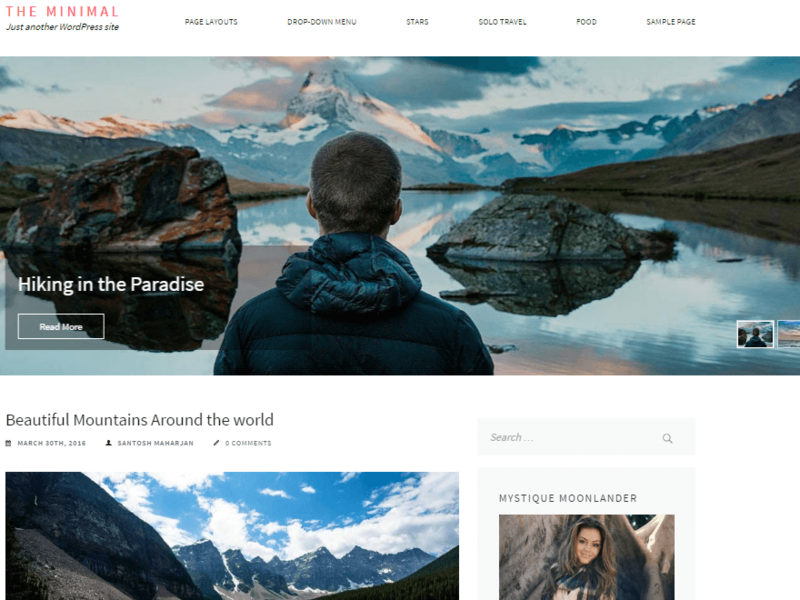 The Minimal is the minimalist free blog WordPress theme ideal for blogging or photography websites. 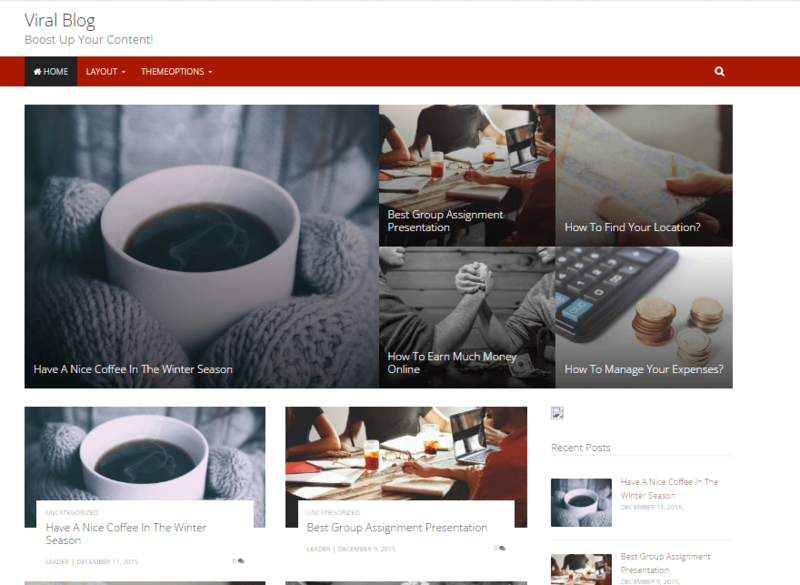 With this theme, you can share your visuals in a bold way along with the contents. It offers several customization options to configure its features according to your wish. The theme perfectly adjusts to any screen size from desktop to mobile. It also has social media integration which allows you to connect with your visitors directly. Viralblog is a modern free WordPress blog theme with responsive layout. It is the right choice for the webmasters with plentiful content. The theme comes with exciting features that are sure to give a professional look to your website and please your visitors. It is built in with highly recommended HTML5 and CSS3 which has made it user-friendly and fast loading. It follows the best SEO practices -so you need not worry about the ranking of your site in the search engine like Google. 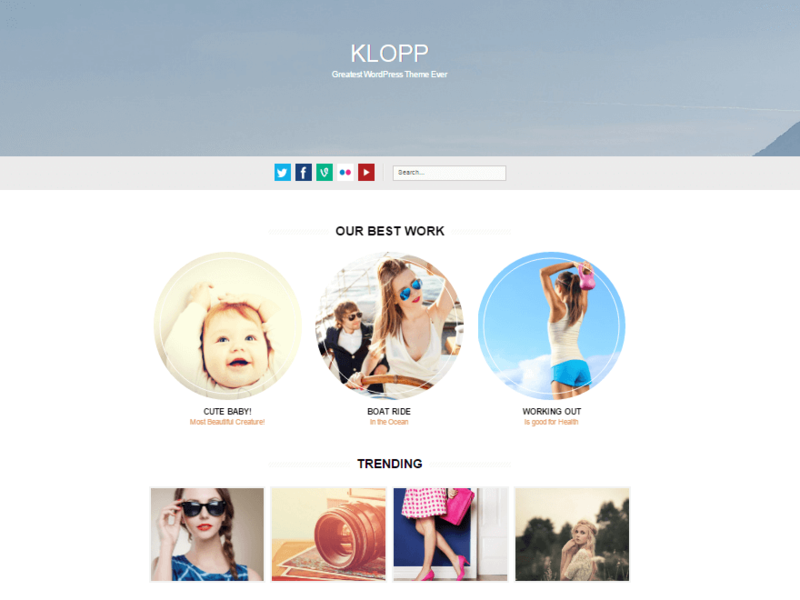 Klopp is an incredible free multipurpose WordPress theme with the clean and beautiful design. It has got everything that you need to have to build up a perfect website. It is suitable for blogs, photography, eCommerce and many other websites. 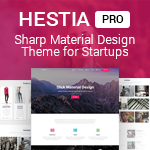 You can explore your creativity in your own way with this theme. It can be used through any device through any platform and can be transformed into any language that comforts you. 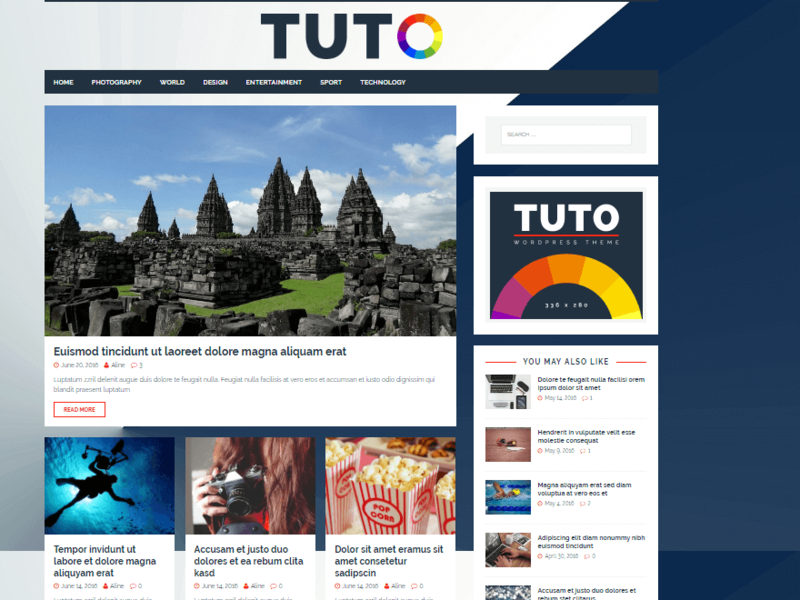 Tuto is a feature-rich free magazine WordPress theme with all the essential features and functionality to create a complete online magazine website. It’s beautiful and well-organized design is best suited for local news sites, blogs, online magazine, journals or any other content-rich websites. The theme is flexible, clean, simple and easy to use with fast loading speed. It is based on an awesome Customizer tool that lets you configure almost all the sections of your website and make it more effective. Going through the massive number of new themes in the community, I again fell in love with it. I have to extend my gratitude to all those WordPress nerds who put their best efforts to bring about such awesome themes FREE. I hope that it will help you navigate your theme search and choose a quality theme for your next WordPress website. Help me spread the words if you like my list. Feel free to share your experiences with WordPress – like, share, and comment anyway! Also, check out the June edition of our monthly themes roundup. 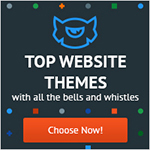 Hey Buddy!, I found this information for you: "11+ Best Free WordPress Themes July 2016 – WPAll Club". Here is the website link: https://wpallclub.com/best-free-wordpress-themes-july-2016/. Thank you.